Two drawings by Carl Marion. 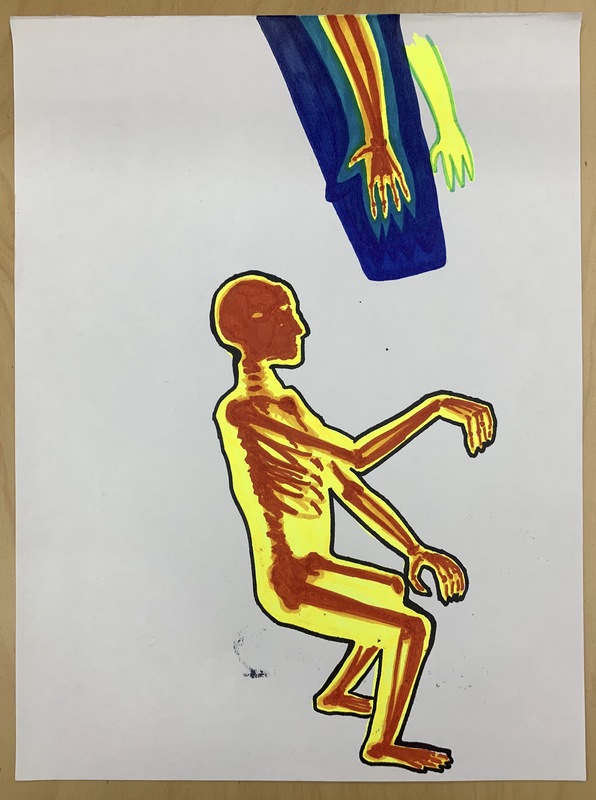 One is an anatomical drawing of a man. 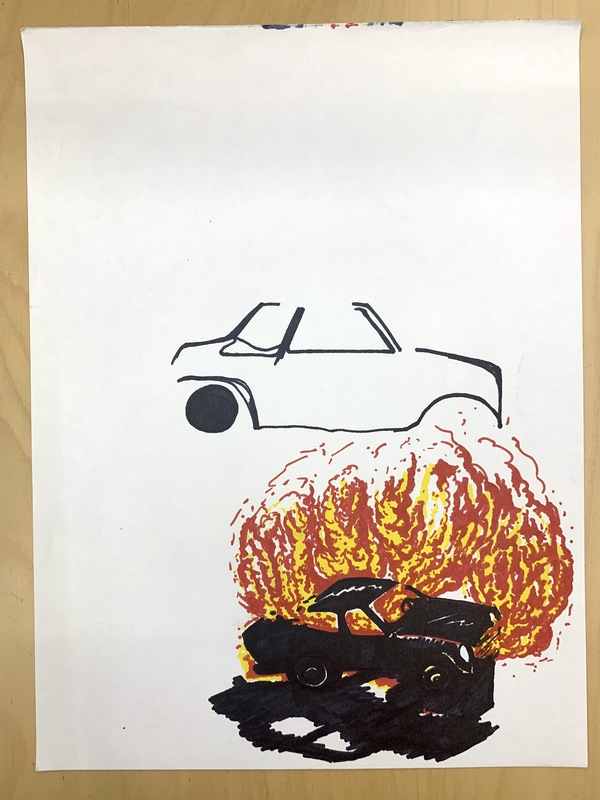 The second drawing is a car on fire.